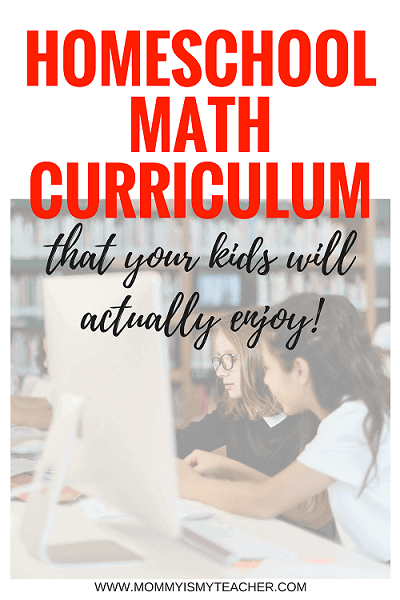 I have been looking for a complete math curriculum for my homeschool, and so I was excited to find CTCMath. CTCMath is an online math curriculum for grades K-12th. When you first get started you will add your children to the program. I added all four of my children, 1st, 3rd, and placed my twin preschoolers in the kindergarten level. Note: I think that four-year olds can start the kindergarten level to be prepared for school. I do the lessons with my twins and we usually do two each a day. Each level has diagnostic tests that you can assign to your child to see where they are. I assigned my daughters their current grade level to see where they are now. Although they did well on the diagnostics, I still kept them in their current grade level so that they could go through each lesson. CTCMath is very detailed, so you can see exactly what your child needs help on. So for example, my first grader needs assistance in Money. It shows that she is having difficulty adding coins, so now I know exactly what I need to work with her on. This is my favorite feature! I love clicking on the timeline and being able to see what my children have done throughout the day. The history tab allows parents to see when your child has logged in, what they viewed, and what they completed. CTCMath sends weekly emails so that you can monitor your children’s progress. They also send certificates to your email as well. My children get motivated by the awards they receive and I can easily display their accomplishments. In the tools tab, you can browse through the lessons beforehand. It gives the option view the video or download a pdf. This is good for children who need additional practice, and you want to teach it to them. You can download checklists for each grade level that shows the topics of each lessons. I can put the date that we completed the lesson, as well as their grade. My children had no problem logging in to CTCMath. The lessons are short and are helpful video explanations. After each video, there are questions to check understanding. I like that the lessons are flexible and can go in any order, however I wish that I could lock them and place in the order that we are teaching. My oldest likes to choose her lessons and always starts with the easiest first. I think CTCMath is great for all children, even those who are not homeschooled. It helps children understand math, and is like a personal tutor. Children get better at math with practice, and CTCMath gives children that confidence in the comfort of their own home at their own pace. I also think that you could complete two grade levels in one year. Even if your child does attend traditional school, he will have a head start because the material will not be new to him. If your child ever needs assistance, there is a feature that allows you to reset the assignment and complete it again. I also like how you can switch grade levels, so whether your child needs review or is advanced, they can work at their needs. My children actually ask to do their math because of CTCMath. I am happy that I can now focus on Math as much as Reading. We will definitely continue to use CTCMath throughout my children’s school career. Especially as a mom of four, since I’m teaching three different grade levels I need all the assistance I can. CTCMath acts as my math helper and assists my children until we can go over it together. One math skill that is necessary for kindergarten readiness is patterns. A pattern is a set of objects that repeats itself in some way. Why are patterns so important? Patterns are a basic, foundational skill for kindergarten. Although it might seem easy, learning patterns can take months or even an entire school year to learn. What are some ways to make patterns? What materials can I use to teach my child patterns? 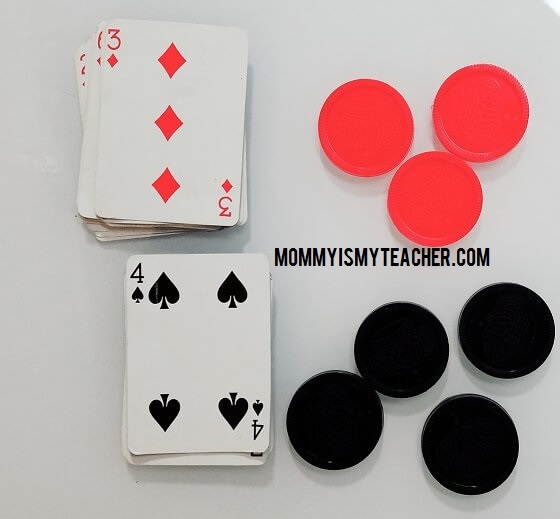 What hands-on activities can I use to teach my child patterns? Sort objects in ice trays and create a pattern. What are some books about patterns? I like to read a book before I introduce a concept to my children. Otherwise, they have no idea what I’m talking about. Books make math concepts more concrete to preschoolers. How can I tell if my child knows and understands patterns? Can your child complete a pattern that you start? Can your child tell you about a pattern? Can you child make a pattern? Can your child make a complicated pattern? What do children learn from making patterns? Start getting your child ready for kindergarten today! Preschoolers do their own thing, it is very difficult to get them to sit. But there are a few reasons why it’s important to get your preschooler to complete math printables. It’s important for your child to be exposed to preschool math at an early age. Even if it’s not right they are learning the concepts that will be expected of them. Children get used to a certain routine. Completing math printables gives your child a chance to use a crayon or pencil and practice the fine motor skills necessary for writing. What age can your child start to complete preschool math printables? All children are different, but generally by 3 years old children are ready to hold a crayon. I start to give my children to crayons around 2 ½ so that they can become used to holding a crayon. Then you can start with easy preschool math printables. What are some ways to make preschool math printables more attractive? I like the BrainQuest PreK book because it is filled with color pages, or a preschool math printable that your child can print like my number identification sheets. Limit the time to 10-15 minutes. Every child is different, I have twins and they are polar opposites. However they decide to complete the page is up to them, and I don’t expect a perfect assignment. My goal is just to get them used to the idea of a math printable. What’s the point of a preschool math printable? The goal is to prepare your child for kindergarten readiness and to make the school transition as smooth as possible. It is important for moms to help their children by beginning at a young age so they can become used to the idea. Check out my FREE preschool math printables to help you child get ready for kindergarten. Want more tips on how to prepare your child for kindergarten? If you haven’t read my post about kindergarten math readiness yet, go HERE to read it. What math skills does an entering kindergartener need to be ready for kindergarten? There are different math skills that an entering kindergarten student needs in order to be prepared for school. Practice counting 1-10. Then to 20. Then to 30. Some schools say kindergarten readiness is to count from 1-20, I always teach my children to be able to count up to 30. Use foam numbers and pick up a number and have your child say it. Say a number and have your child pick it up. Count rocks on a nature walk. Do you want to make sure your child is ready for kindergarten? 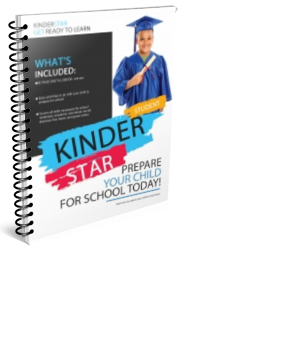 Learn how to get your child ready for kindergarten in 20 minutesa day! Math is one of those subjects that people either love or hate. Some people pick up new math skills easily, while others constantly struggle with basic concepts. It doesn’t help either when our world is filled with so much automation such as calculators, digital clocks, or digital cash registers, that many people think they can discount basic math skills. So what do you do when your child says “I’m not good at math”? Well first before they get old enough to say that, it is important to develop strong solid math skills. By building the foundation for math, children will believe that math is easy and comes naturally to them as well. There are so many books that teach and introduce math concepts that your child will naturally pick up. These books are also great way to introduce or read a new math concept. Click here to see books by math concept. I think the most important thing to do is to introduce skills early and when your child shows interest. For example, when you go to the grocery store, it is a great place to start introducing money. You don’t need a worksheet to count out dollar bills or coins. This candy costs .79 cents, three quarters make .75 cents and I will add 4 more pennies to make 79. Not only is this mental math which helps your child begin to visualize the math in their head, but you are giving them authentic experience that will make the math make sense. While you are cooking you can talk about fractions. I’m going to give you and your sister one half of an orange. When I cut the orange in two pieces, I will have two halves. You don’t have to say, a fraction is blah blah blah….talk naturally in a way that your child will understand. Again in the kitchen you can talk about measurements. I need one cup of flour to make the cookies. I pour the flour then repeat to my three year old, pour one cup of flour in the bowl. Does a three year old know about fractions. Of course not. But I am building her background knowledge so that when she begins to learn fractions she will already have an idea of what we are talking about. Point out objects around the house and notice their shapes. The window is a rectangle. For older children, you can say how many sides does the window have? Let’s look at the tissue box. How many sides does it have? How many faces? How many edges? How many vertices? Again, I’m teaching geometry and my child has no idea. But I am doing so in an interactive way that makes learning more enjoyable and less pressured. I introduce time by using our analog clock and saying at certain times of the day we will be doing a certain activity (11:00 is lunch). When the small hand is on the 11, and the big hand is on the 12 we will go to lunch. My children like to watch the clock to see when it happens. Once your child is older then you can introduce time vocabulary (hour hand, minute hand, etc). Do you know why these skills are so hard for some children when they have to do multiple digit problems (like 568-321)? It’s because they do not know their basic facts by heart. Children have to know addition and subtraction facts to 20 by memory. Just asking questions such as I have 10 blocks and I’m taking 2 away gives them that mental practice they need. Once they get older they should do this automatically without counting on their fingers. A solid foundation of addition and subtraction makes multiplication and division much easier. Mulltiplication is repeated addition. If your child learns their addition facts by heart, multiplication will be much easier to master. There are many things that come in rows that you can use for multiplication. For example, eggs and cupcakes. Let’s count how many cupcakes are in one row and in one column. This is a great way to practice. Multiplication is also easier if a child learns all their facts at least up to 12. There are many math cds to help them when they get older memorize them as well. I like this book when going over division with my child. Even if they aren’t at that point in school (third grade), you can still introduce it. Then after reading the book we use hersheys or a more healthier option is graham crackers. Just say, I’m going to give four friends a piece of graham cracker. How many pieces does each friend get? You can also use a certain number of raisins, candies, or cheerios. I have 6 grapes, and I’m going to share with 2 children. How many does each one get? Then I count out 1 by 1 to see that each child has 3. Again, the older the child, change the vocabulary. I will divide these grapes among two people. Need more math resources? Check this post for free math resources for elementary children. Many states have adopted the Common Core Standards which are a set of standards that are “common” among most states. One of the many complaints that parents have is that they are too difficult for students, which in actuality they were designed that way. The creators of the Common designed the standards to be rigorous (read: challenging) so students would be ready to compete in the technology-math driven world. Whether your state is Common Core or not, there are many times our elementary student is completing Math that we may not remember or even understand. Instead of just simply solving the math problem, students are expected to draw a model, and show their work. But how are parents supposed to help if they don’t remember the math or know how it is supposed to be done? Here are some resources to help your child succeed in math. Khan Academy is a FREE website that allows students to log on and view math lessons for each standard that is taught in school. So whether your child needs extra help, missed school that day, or just wants to review; they can go to www.khanacademy.org and view lessons based on that skill. Parents can also watch the videos to help explain the concepts to them. They also have math problems that your child can practice to get better at a particular skill. If your child attends public or private school, and they are struggling in Math ask their teacher what they need assistance in. Many schools have standards based report cards, so you can know specifically what they need help with. So instead of just saying generally “they are struggling with time”, the standards based report card/progress report might say “solve problems involving time” which lets you know they need assistance with word problems. Again, Khan Academy explains each standard in detail so it will be easy for you to assist them. 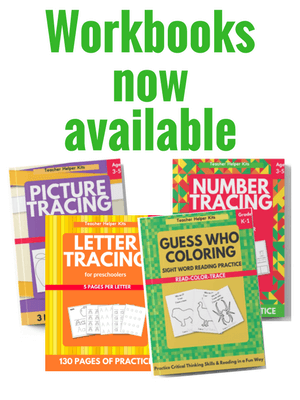 There are many workbooks that you can get to assist your child in succeeding in Math. We personally use the Spectrum series that is a great review for children. They also have an answer key in the back to review their work. I usually let my children go over a few pages, and then see what they need assistance in. Then I purchase skills-specific workbooks, for example a book only about money. This way my child gets all of the extra assistance they wouldn’t get in class. Once my daughter understands a concept, I start introducing a new concept. So even if we are working on three-digit addition with regrouping, I might start introducing the concept of elapsed time. This early exposure helps make the lesson easier by building background knowledge when I finally do teach the lesson. Education.com- free math games (for grades Prek-3rd) separated by grade level and subject. 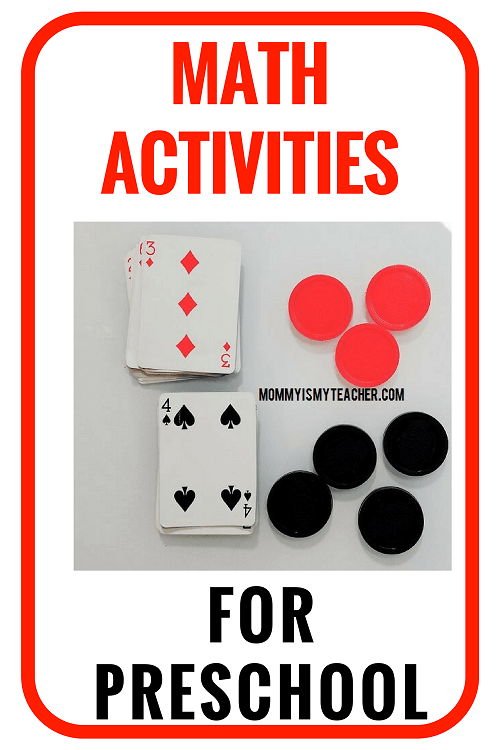 These are fun games for your child to practice their skills. They also offer free math worksheets to print and practice as well. Study Island.com- I really like Study Island. First children take a pre-test to see exactly what they need to work on. Then you can assign them skills based on their need. Each standard has a game mode, where they can practice with a fun math game or practice mode, which is just answering questions. Before choosing a game, I always have my daughter watch the lesson first before answering the questions. Ixl.com has a free option that lets you answer a limited number of questions available. They do have subscriptions available, and offer other subjects such as Language Arts and Spanish. Abcya.com is another website that offers fun math games for your children to practice their skills. The math games are so fun and engaging that they will not remember they are actually learning. Some math games allow you to play for free, but the subscription is pretty affordable at $6.99 a month and no ads. Check your local library to see if they offer any tutoring services. Many libraries (and some recreation centers) offer free tutoring to give your child the math help they need. What are some other ways that you help your child in Math? Leave a comment below. Megabloks are the super large big blocks that it seems almost all parents of preschoolers are required to purchase. I honestly haven’t met a mom who doesn’t have these already somewhere around the house. Of course these are perfect for color recognition (especially if you buy different bags). I will ask let me give me the blue block or can you build with all red blocks? This fun, hands on way of learning is great for my children to practice their colors while having fun. I also get a chance to distinguish between shades which is something they don’t see often (this is blue, this is light blue) and they can really see the difference. We make trains and count how many cars on the train. Once they get older you can also ocunt the top buttons of the block as well. I will take two blocks and say how many blocks do I have? Once I get the answer, I say give me two more blocks. Then I will say two plus two equals four, and count all the blocks together. Although they don’t know what plus means, it is a good introduction to early math skills. Just like with addition, I follow the same steps. Grab a number of blocks and count them. Say I’m going to “take away” two blocks. How many do I have? Count how many is left. Then say the problem, 6-2=4. Again, your child is doing basic subtraction, and they don’t realize it. One to one correspondence just means counting one by one. When your child coutns, have them touch the object they are counting, in this case blocks. By touching the blocks they are showing that the numbers correspond to an object, and they are counting only what they see. Learning is fun and children naturally love to learn. By doing these learning activities with your child, they will have a jumpstart on math.